8:30 p.m. - 11:59 p.m.
99.1 The Sports Animal was at FedEx Forum for UT’s 102-92 win over Memphis. 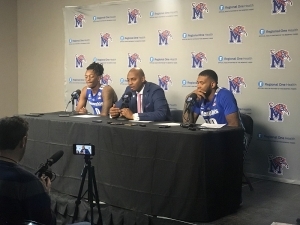 Below is postgame from Memphis head coach Penny Hardaway along with players Kyvon Davenport and Mike Parks. It’s NFL Draft SZN. The boys give you their mock drafts. Tyler and Cainer break down Rick Barnes’s press conference that seems to have UT fans all up in arms. The Ice Bears face the defending champions in the second round. Disappointed in your bracket? That’s OK. Have a laugh at this one. A CRAZY 36-hour period for Tennessee Basketball. Barnes stays – Grant goes? Come out to The Relix on May 2nd for Goldens in the City benefiting homeless Golden Retrievers! Presented by Adopt a Golden Knoxville. The National Street Rod Association’s Street Rod Nationals come to Knoxville at Chilhowee Park & Exhibition Center May 3rd – 5th! Listen this week for your chance to win tickets! Knoxville Youth Athletics Summer Track and Field Program Four weeks of Fun, Fitness, and Finish Lines — open to girls and boys ages 5-18 interested in track and field, running, and athletics. The Youth Athletics Program exposes kids to the fundamentals of track and field with an emphasis on fun and fitness. Throughout the month of April join Dogwood Arts in celebrating the start of Spring with various community events all around Knoxville! Join Cumulus Media for the Phillip Fulmer Golf Classic benefiting Boys & Girls Club of the Tennessee Valley on Friday, April 26th, 2019 at Avalon Golf & Country Club! Tickets for the 7th Annual Big Kahuna Wing Festival on sale soon! Kickin’ Cancer is back in action April 26 – 28 at Cool Sports! Registration is open until April 5! 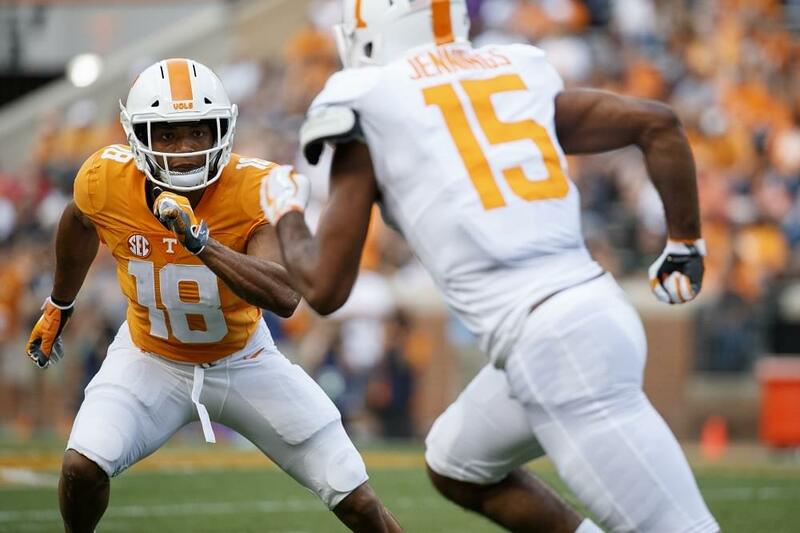 Which UT player were you most impressed by in the spring football game?